New Perks For Xbox Live Gold Subscribers. With all the hubbub going on about the next gen consoles being announced right now at E3. Let’s take a step back and take a look at a new perk being added to our current system. 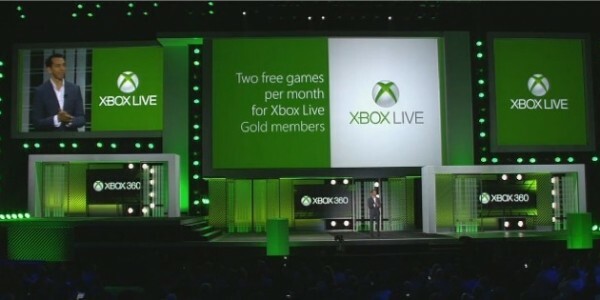 Microsoft revealed that they will be adding a new perk for their Xbox Live Gold account members. Each month Microsoft intends on offering up two free games to their loyal (paying) costumers. Microsoft will start this new incentive plan with 3 major (but slightly dated) titles.Assassins Creed II and Halo 3 are two blockbuster games that will be available soon, while Fable 3 is already free in the market place. Make sure to pick these up while you have the chance…. i mean come on…. it don’t cost nothin’. Keep an eye out for further IP’s to be announced soon. ← Playstation 4 Reveal, Price announced.